For all of us, there is no escaping the rigors of aging, and everybody knows that. What escapes many of those in their winter years (or won’t admit it) is that they already need help from their adult children. It’s an imperative though that seniors are extended help as they age. The assistance that they need not only relates to their health or physical well-being. They also need help mentally in some critical decision-making especially on finance-related matters. Aging parents going unaided on the challenges of their late senior years could have adverse repercussions not only to them but to their close kin. Hence, it is incumbent upon their adult sons/daughters to recognize early enough that their aging parents already need their assistance. 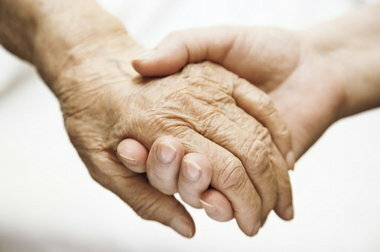 Here are 10 signs which indicate that aging parents need help. Body odor, for instance, has become unpleasant as a result of less frequent bathing or showering which could be traceable to fear of falling in the bathroom. With a parent’s mobility becoming impaired, some bruising from minor mishaps could also be regularly observed. A parent may wear the same clothes over and over, finding it increasingly difficult to do the laundry especially if the chore has to be done in the basement where the washing machine is. A parent’s mobility has increasingly become limited such that he/she’s already having a hard time in house-cleaning, and floors and carpets are filthy. There may be spoiled food too not thrown away. Observing a change to microwave dinners from cooking well-prepared meals could indicate that an aging mom or dad has lost the stamina for much work in the kitchen. If observed several times, this indicates a parent now suffers from temporary memory loss and creating a fire hazard. This, along with inappropriate speech or behavior, indicates a parent already having bouts with confusion and misjudgment. Besides indicating memory loss, this could be a subtle cry for help, a result of depression or feeling of isolation. It is urgent that adult children help aging parents in these instances as these indicate that the aging parents’ memory loss threatens not only their physical health but financial health as well. Extend help ASAP to a parent who already takes too long to handle a checking account or do simple math. More so if the health situation and financial needs of a parent calls for him/her to sell house fast. In this particular situation, we at House Sold Easy stand as reliable partner to adult children who want to ensure that their parents’ home gets the best deal possible. In our more than 10 years as real estate investors, we have already purchased many houses of seniors hard-pressed to sell house fast. Closing a deal with House Sold Easy means getting paid in cash in a short as two weeks. Call us at 636-525-1566, we’ll show you and your parent how!